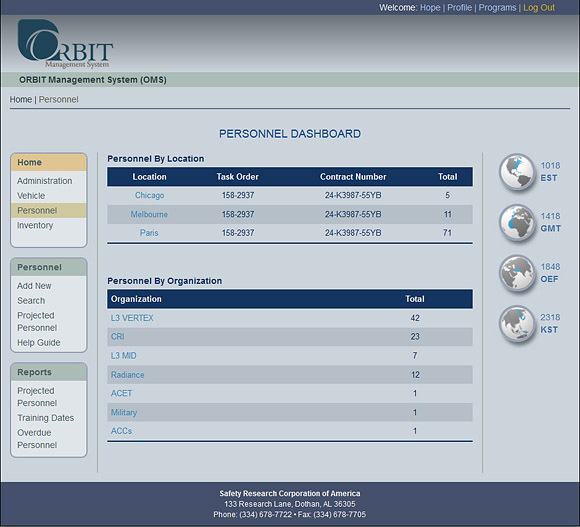 The ORBIT Management System (OMS) is a custom web-based asset management program created to provide a central point to report, share, and disseminate world-wide information related to equipment, personnel, inventory and the status and movement of them. Information is entered daily from local or global locations and automatically compiled, computed, and dispersed through email, text message or other PDA devices. 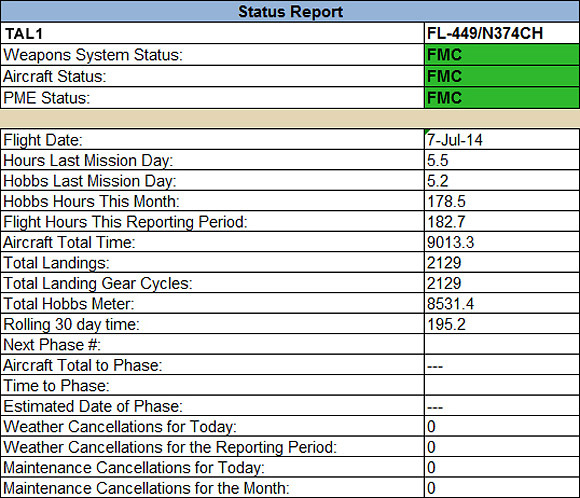 The Homepage for OMS displays a consistent and intuitive layout found throughout the program. 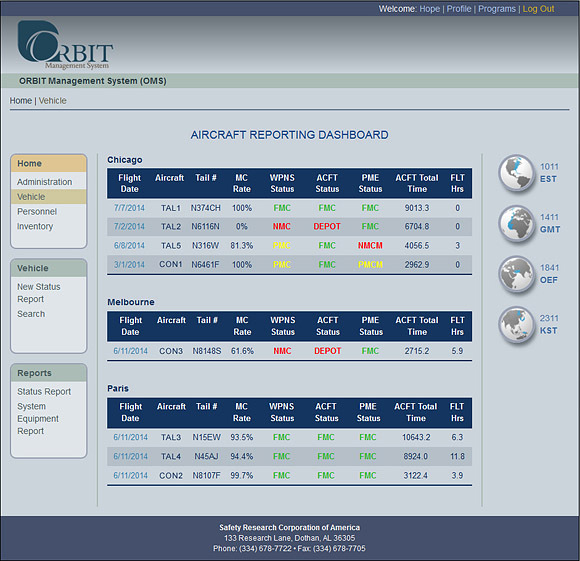 The Asset Reporting Dashboard (aircraft shown) illustrates the current status and readiness information for all listed assets. The Personnel Dashboard provides a quick view of personnel with the capability for authorized users to look into individual accounts. 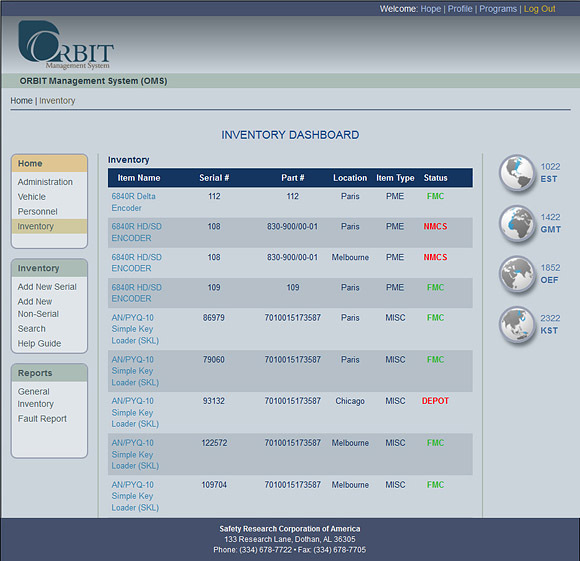 The Inventory Dashboard provides users the ability to see all current inventory. Authorized users are able to access individual items listed in the inventory to make changes. 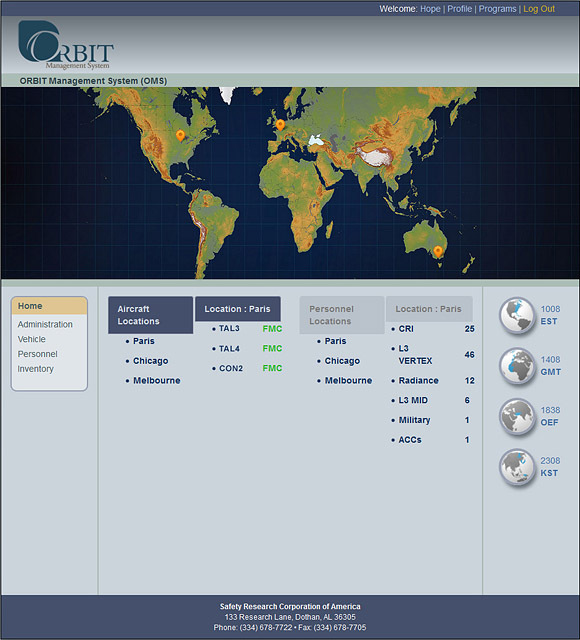 The ORBIT Management System provides various pre-generated and customer defined reports containing current and historic information.